Radio frequency welding, or RF welding, as it’s more commonly known, is used for the bonding of materials using heat and electromagnetic energy. The advantage of RF welding over other sealing methods is the effectiveness of the super strong airtight seal that it creates to ensure the highest standards in quality medical products and packaging. At Meridian Medical we have a variety of machines which enable us to use RF welding techniques in the creation of our medical products and healthcare supplies. These RF welding machines range from 4.5kw to 10kw and can be used on various types of plastics and films to produce a range of airtight bags and medical dressings. 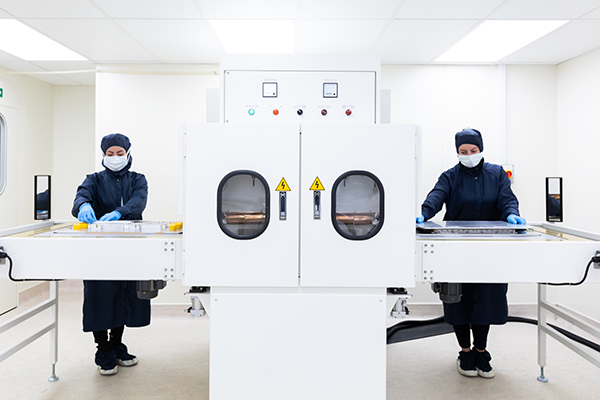 All of the products which are made using RF welding techniques are created within our ISO Class 7 clean room environments to ensure the end product is guaranteed to be suitable for a medical environment. Examples include IV bags, drinks bags and waste collection bags.